The Hadlow Pro is a high aspect ratio Traditional C kite with a small diameter leading edge, supported by 6 struts and large flat centre section. The kite has a real feel of quality to it, and Flexifoil have gone the extra mile with the construction to ensure it will survive some severe punishment - it seems that durability has been chosen over weight in most circumstances. The Hadlow is one pump hence very quick to get out on the water, and very quick to pack down with deflate valves at the centre and both ends. The first thing you notice about the Hadlow bar is the grip - it is highly embossed to give very good grip and ensure no slippage. It comes with a large chicken loop going to a very simple but effective safety release, going up to a PU coated depower rope with an adjustable stopper ball. The depower system is a Pull‐Pull webbing system and there is a dedicated suicide attachment point located above the chicken loop. One very nice feature is that the chicken loop is on a swivel which removes all problems with your leash ever getting wrapped around the chicken loop. The 22m flying lines are upgraded this year to 325Kg, which should be more than enough for anyone! The Hadlow can be setup in either 4 or 5 line modes, and switching between the two is a doddle; in addition to this, each mode can also have the depower bridle added to the front lines which brings and extra 50% depower, to bring the kite to a wider audience. The 5 line mode has a slightly larger windrange than the 4 and benefits from 5 line relaunch and safety, whereas 4 lines is Aarons preferred setting. The kite comes with everything you need to set the kite up in all modes - no conversion kit is required. As usual, there was very little wind on the first test day, so spent some time flying the 13m & 9m Hadlows on land. 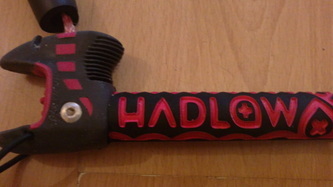 I was quite surprised with the bar pressure as on many C kites its pretty light, but on the Hadlow its medium which seems to increase a little as the kite powers up. It was of no surprise that the kite generates serious pull when worked through the window, and loops send you scudding down the beach. The Hadlow leans a little more toward wakestyle this year and is unresponsive to small bar movements, but when steering is prolonged and commited it can be directed with precision. It parks in the sky well for handlepasses and was definately a kite which I was eager to take out on the water. One interesting difference with the Hadlow is the large distance between the bottom of the chicken loop and the bar in the full power position. This means that when riding along with the bar fully sheeted in, your arms are in a comfortable position, unlike on most kites. This also makes the depower trimmer somewhat further away, which may cause some issues for the smaller riders out there. 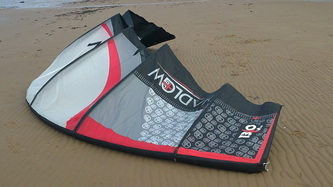 Features such as this make it clear that this kite is tailored to Aaron's preferences, which does reduce the size of the kites target market somewhat, yet gives riders of similar size to Aaron a kite that is perfectly suited to them. The Hadlow takes a little effort to fly in light airs where you cannot just park it in the sky, it generates good power when worked resulting in a decent bottom end; its a little tricky to keep upwind in these conditions, but that is common of most kites. When the wind picks up the kite can just be parked and you can fly along effortlessly, and also point remarkably well upwind too. The wind range is surprisingly good for such a traditional shape; when the wind picked up i found myself happily powering along without any need for touching the trimmer. The kite can be piloted with precision and gives great feedback through the bar, but when it does go down in the water it can be difficult to relaunch especially without the 5th line. The Hadlow, like most high aspect ratio C's takes a bit of technique to jump as once it starts moving through the window its easy to get pulled off your edge; but with good edging its possible to boost impressively and glide down with good float. Landings can be further softened by redirecting or downlooping. As you'd expect, kiteloops are really meaty affairs, but they can be done so in confidence knowing the kite will be there to catch you. Where the Hadlow really shines however, is the unhooked performance. It pops well when underpowered and explosively and predictably when you're lit, it also generates a tremendous amount of line slack which really needs to be felt to be believed. The great feedback helps you to know where the kite is at all times and the slack further reduces unwanted kite movement while you're passing the bar. 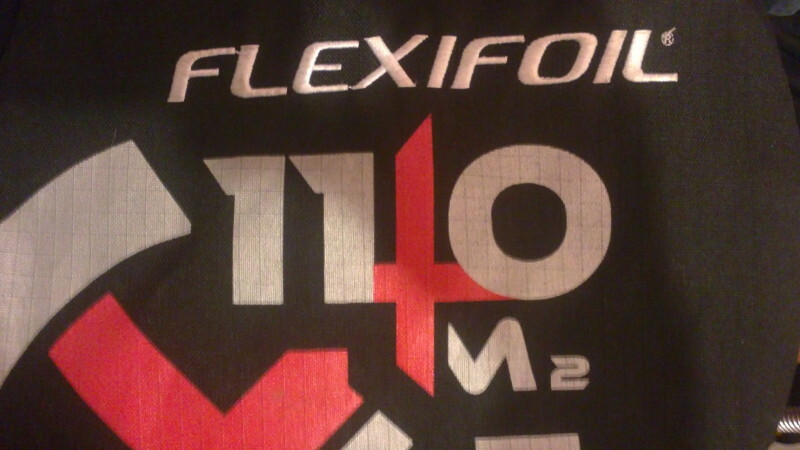 This all combines to make that next move in the progression that bit closer and easier. A hugely impressive kite which will give any dedicated wakestyler all the performance they need to bang out powered tricks with style. 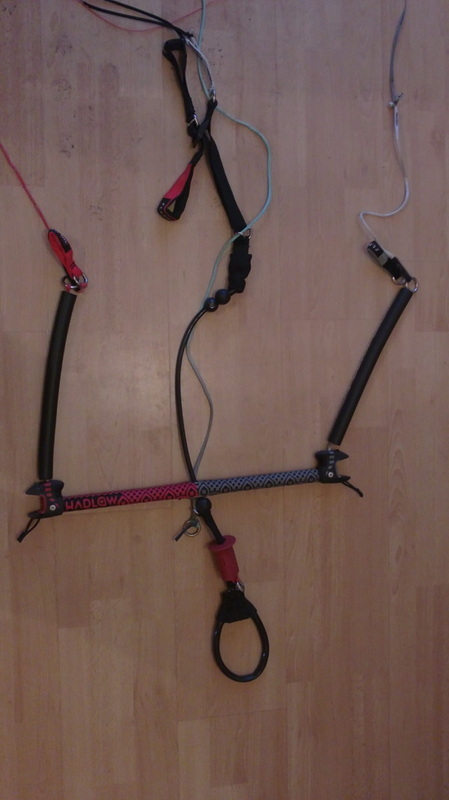 Its definately not a kite for beginners, or even kiters with shorter arm reaches without modification of the control system. For explosive wakestyle and big powered kiteloops it doesn't get much better than this.